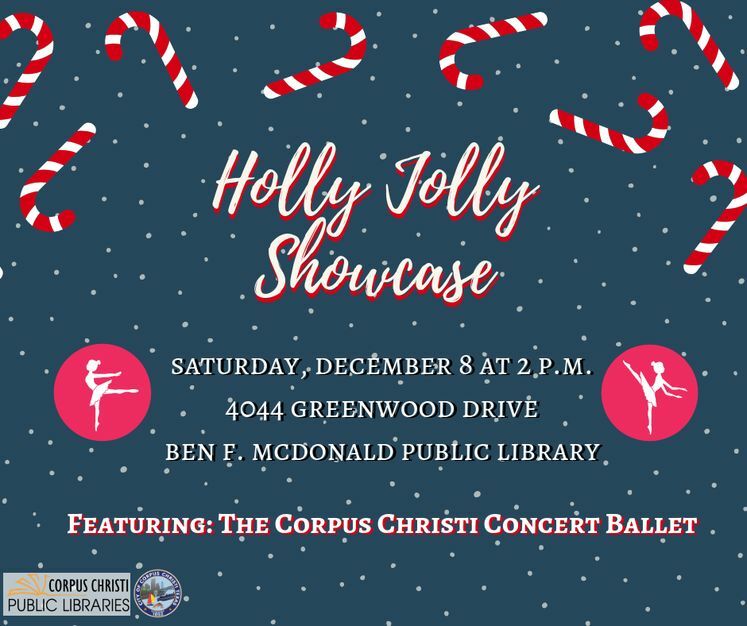 CORPUS CHRISTI, TX – Enjoy great tidings of Christmas cheer during the Ben F. McDonald Public Library’s “Holly Jolly Showcase”. The event featuring the Corpus Christi Concert Ballet will take place Saturday, December 8, from 2:00 p.m. to 3:00 p.m. at 4044 Greenwood Drive. For more information, contact Public Information Officer Olivia Santos at 361-826-3248 or by email at olivias@cctexas.com.